The Salvation Army in Garland says it doesn't have enough money to help people who need assistance with their electric bills. The organization has run out of grant money to help people pay Garland Power and Light bills and doesn't have much left for TXU Energy bills, either. "Because of electricity being so high because of the intense heat, it has just been phenomenal," said Joanne Welk of Salvation Army Social Services. "The amounts have been at least double on the bills, people are on fixed incomes, they've lost their jobs, budgeting ... and they just cannot meet the needs." Karen Thomas came to the Salvation Army this week because she needs help with her TXU bill, which is more than $300. 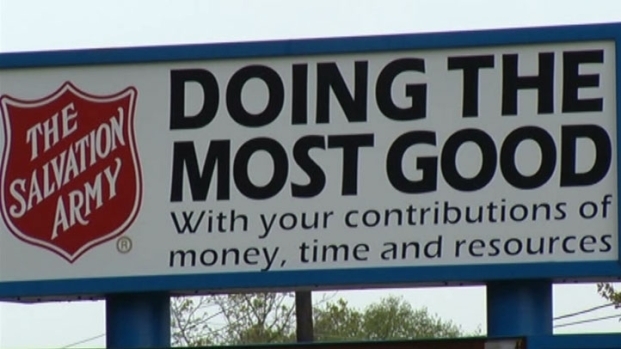 The Salvation Army in Garland has run out of grant money to help people pay for their electric bills, until new funding kicks in on October 1. "I'm on a fixed income, and I came to get assistance with my electric bill because it's so high," she said. The Salvation Army said it runs out of money every year because there's always more need than available money. "It's very frustrating because you don't know what you're going to do next," Thomas said. The center gets about $100,000 each fiscal year. It is able to help about 500 families with their electric bills. But when the money runs out, it refer them to 211, where they could be referred to another agency for help. But hope on the horizon; the center will have new funding on Oct. 1. Energy customers can contribute to funds that help people who need assistance with their electric bills. Garland Power and Lights customers can round up their electric bills to the nearest whole dollar, and the difference goes back to the Salvation Army. And TXU Energy will match $5 for every $1 that is donated to its energy assistance program.